I dont know if the original Ingersoll in America were connected. Perhaps members on that side of the pond might know. The UK Ingersoll was purchased from the liquidators and from that time was a wholly owned company. Do you know when Ingersoll Rand acquired those lock companies, Before or after the American Ingersoll Watches went into liquidation? Ingersoll was never part of or associated with Ingersoll Rand. There has always been some confusion about that because the US military for a while used locks with the Ingersoll mechanism in them. IIRC Sargent & Greenleaf was involved in importing the locks and then selling to the military. Does that mean we are having two completely different companies now (one for watches and one for locks)? Operating with a different head of management? Why do the companies not mention that in their history or are they actually doing that and I was just not able to find that? If I get that right the Ingersoll Rand group (American) and the lock company called Ingersoll (British) have nothing to do with each other. The catalog of Ingersoll aircraft locks is now on line HERE in the HoL library area. Hope you all like it. The catalog is very interesting and the patent is also a very interesting read! 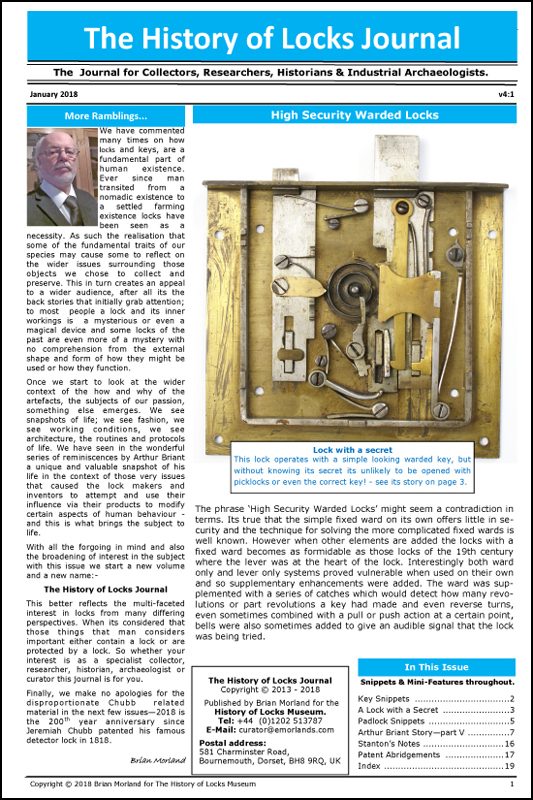 It seems appropriate to continue this thread with Ingersoll’s aircraft lock discussions – there are other tantalizing references such as a special version for the spinning bomb release mechanism of which little is known from the documents. I have started a new thread to explore Ingersoll’s key operated locks and have also added the patent specification and drawings to the library area. I imagine most of you are familiar with their architectural products. The aerospace division was spun off and purchased some time ago. Interesting stuff, thought I was familiar with most of the Adams Rite products but wow, had no idea at all they also made for the aerospace industry.